A-list movie star, mother of six, humanitarian, and director. Is there anything Angelina Jolie can’t do? In her first English-language feature film, she proves yet again that she’s more than just those lips and that leg. She is a force to be reckoned with! And it’s no surprise that she’s gone with a story that showcases the fighting human spirit. Unbroken tells the true tale of Olympic runner Louis Zamperini (Jack O’Connell), who was taken prisoner of war by the Japanese Navy. Coming in at 137 minutes, it’s a hard going slog, but ultimately inspiring and satisfying. The obvious thematic comparison is last year’s The Railway Man, but here wartime is the present, and we are in the thick of it. 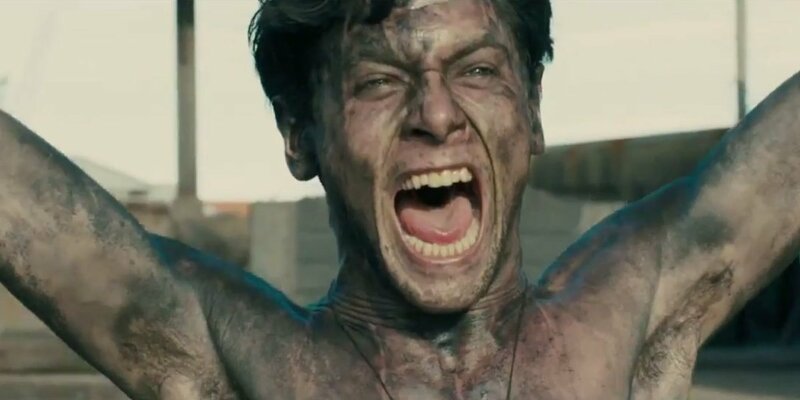 Unbroken is brutal, and may be too much for some viewers to bear, although it certainly doesn’t reach the horrors of the recent 12 Years a Slave (not a war film itself, but similar in terms of portrayal of torture). Occasional glimpses into Zamperini’s earlier life provide some relief as these are juxtaposed against his barbaric treatment in the POW camp. Competitive running is almost made to look enjoyable, and this reviewer considers that a remarkable feat of filmmaking in itself. Film rights for the story of Louis Zamperini were sold as far back as 1957, but only with the recent success of Laura Hillenbrand’s 2010 biography has it finally come to fruition. The Coen brothers usually direct what they write, and so their screenplay here – with the help of Richard LaGrevenese and William Nicholson – does not clearly showcase their usual flair. That may be a positive or negative depending on whether you have an affinity for the pair. The pacing is somewhat off – the most gripping moments (notably when Louis and his fellow comrades are lost at sea) happen too early, and despite a lengthy running time the ending feels rushed. Adding further disappointment is the sudden disappearance of a character the audience are sure to be invested in, until a mention in the end credits. But maybe such is life. 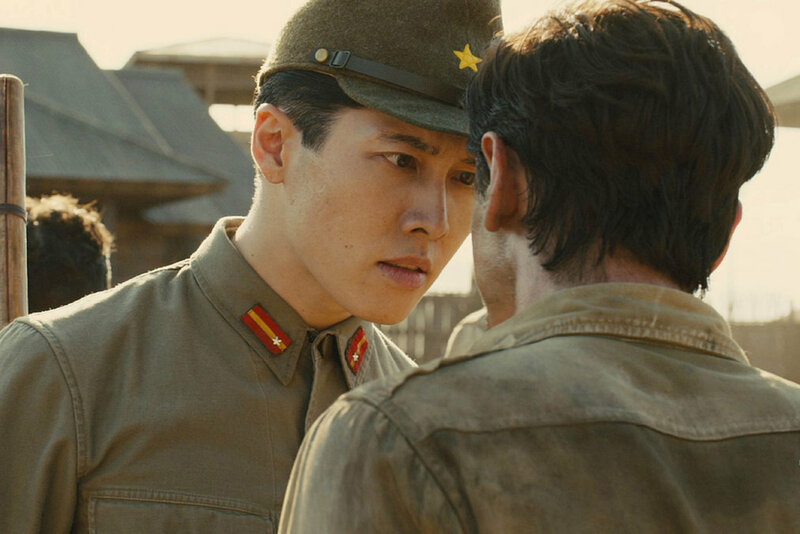 Despite its pacing issues, Unbroken succeeds in maintaining tension, and a late powerful scene rams home the key message of the film. 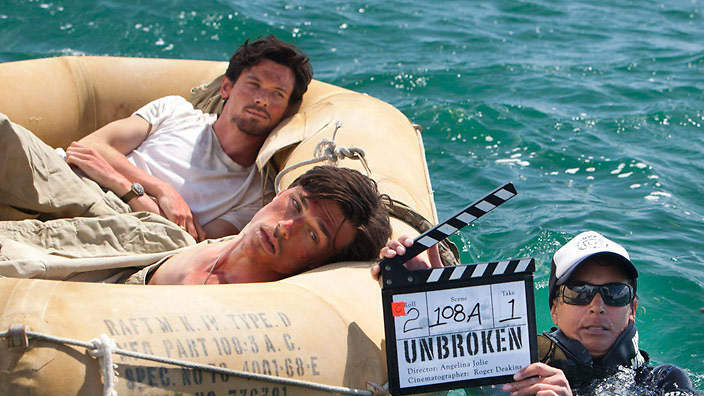 Perhaps above all, Unbroken is beautifully shot, with awe-invoking cinematography by Roger Deakins. Though not set in Australia, we can also bask in the knowledge that the beautiful locations are in fact our own, with the entire film shot in Queensland and New South Wales. Alexandre Desplat contributes yet another sumptuous score to the mix, rounding out a brilliant year for the composer. British actor Jack O’Connell has come a long way since his breakout role in TV series Skins. Here he delivers a mesmerising performance as Zamperini, and deserves every success that awaits him. Jolie’s refusal to include any major names pays off, and supporting performances by Domhnall Gleeson and Garrett Hedlund are strong. Most compelling is musician Takamasa Ishihara (stage name Miyavi) as Japanese Imperial Army Sergeant Watanabe, a.k.a. ‘The Bird’. Truly terrifying, one has to wonder if his character was written as a tad too one-dimensional, though Ishihara nails it either way. The way his hat flickers around his stern facial features is particularly memorable and further credit to the production team there. 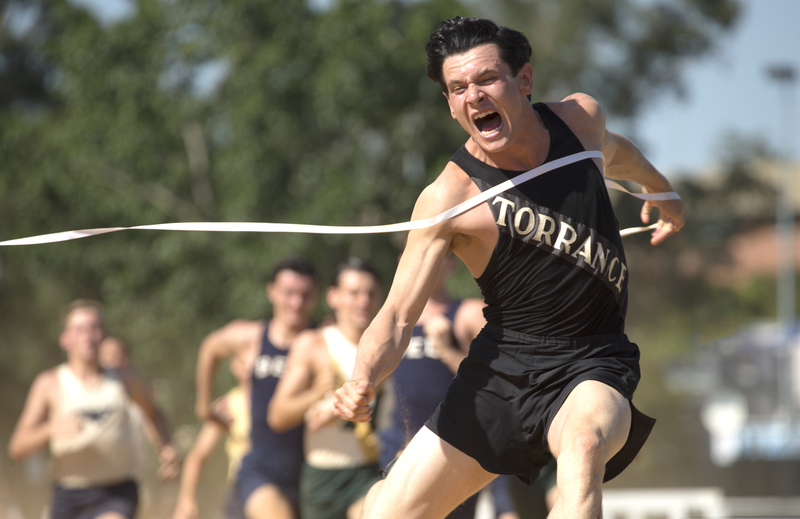 Unbroken is clearly Oscar bait, and it doesn’t shy away from demonstrating brazen American sentimentality. This is sure to turn certain viewers off – as well as those who decide they hate anything Jolie is involved with – but nonetheless, it is an impressive feat for someone relatively new to the director’s chair. Oscar won’t come knockin’ just yet, but there will be plenty more opportunities for that later.